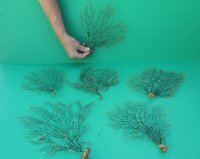 Wholesale sun dried black sea fan corals from Vietnam range in size from 5 inches up to 6-3/4 inches. These black sea fan corals are all natural and have been sun dried (they will have black, brown and red hues). They have not been sealed. They will have a fishy odor which will subside when allowed to air out. They are used in shell craft projects, in making sea life shadow boxes and in seashell decor and fish decor. 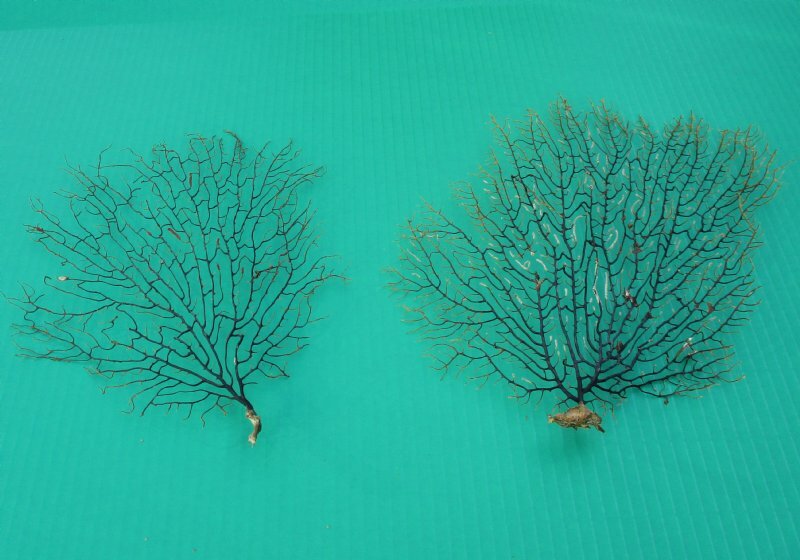 No two sea fans will look identical or even similar. The shapes and coloring vary widely.